By microanalysis, this is made of American white oak. It came from the famous Mable Brady Garvan collection, most of which was donated to Yale University Art Gallery. A few objects were kept by her children. Many years later, I bought this box and a miniature chest from one of them through Leigh Keno. 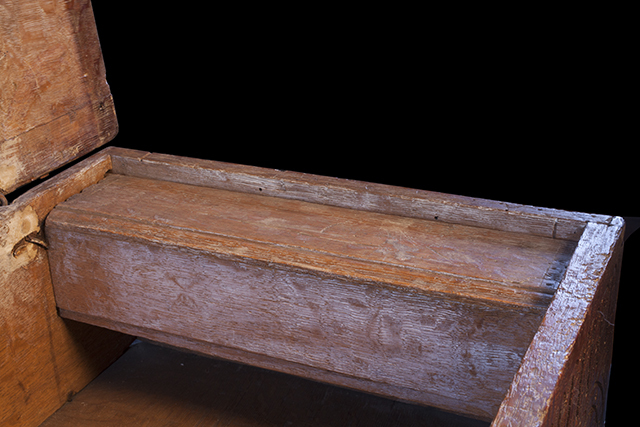 Although now referred to as "Bible boxes," they originally also stored money and other small valuables. 26 1/2" x 16 1/2" x 8". Interior detail showing the original till. 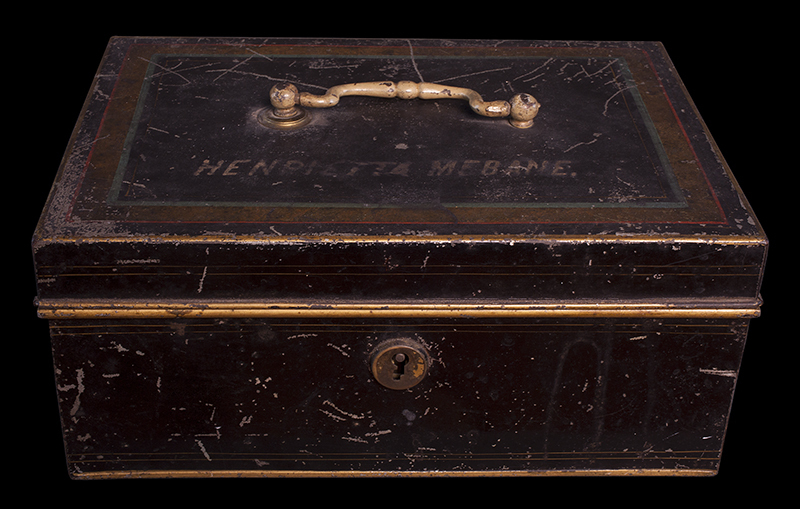 Donated by Dr. Yancey Mebane, Henrietta's grandson. For more information on the Mebane family, see the History link. Toleware objects such as this were ubiquitous in the 19th century. As a collectible, it is trivial. On the other hand, its relevance to this place elevates the box to treasure. 11 1/2" x 8" x 5". Purchased from Stair, London. 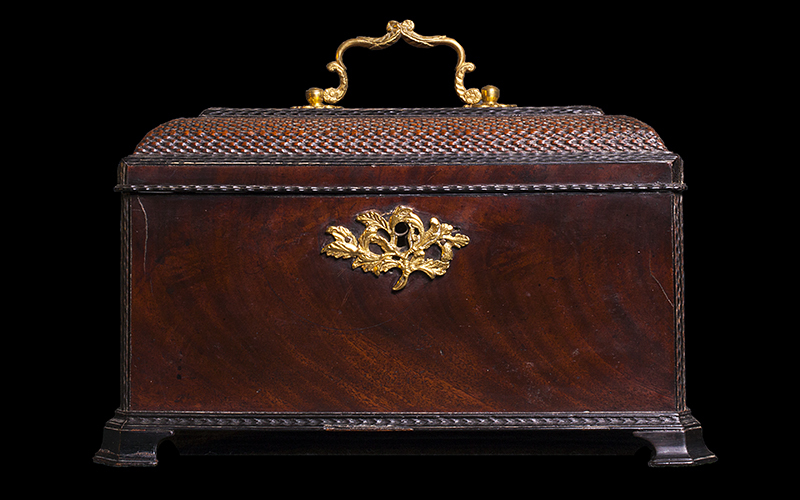 Mahogany with gilt brass mounts.